Metallic Midnight. Upgrades – Alloy Wheels Polished 18in Split-Rim, Anti-Theft Immobiliser System, Electric Steel Sunroof, 3.6 964 TURBO, Right Hand Drive, 12 months MOT, Full service history, Excellent bodywork, Black Full leather interior – Excellent Condition, Tyre condition Excellent. Standard Features – Sports seats, Airbags, Air conditioning, Folding rear seats, Electric windows, Central locking. 4 seats. Just 159 of these car were right hand drive, including all the special versions. At least thirty went to Brunei and will never come on the market NB all RHD specials are registered on this site. The new engine M64/50 produced 360 bhp @ 5,000 rpm, raising top speed to 175 mph and lowering 0-60 to 4.6 seconds. Torque increased to 520nm @4.200 rpm which solved the 3.3 cars lack of boost performance. Substantial brake and suspension upgrades were included. The Big Red brake calipers were introduced along with larger brake pads. During internal tests Porsche recorded outstanding braking distances along with 1.2g on deceleration. The suspension upgrade included MO30 as standard (except for USA), this lowered ride height by 20mm. The rear axle was changed to the Carrera RS type. Limited slip differential (20%) upgraded with carbon plate. The 3.6 model now featured the iconic 18 “Speedline for Porsche” split rim alloy wheels with low profile tyres. “S” cars featured Polished versions ( option 407 ) available 285 width rear tyres. Dealers were allocated one or two cars in a standard colour and very few customers were able to specify options to add to the already record high basic price. 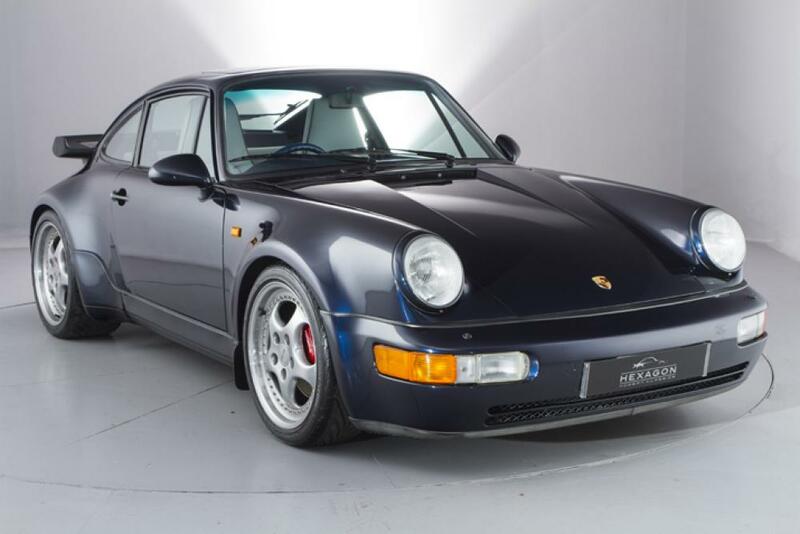 However, at the start of 1994 Porsche Exclusive department built some very special run-out versions. These were to be the last of the hand built cars, costing a minimum £130,000. Many were destined for elite customers.